A police officer in Chicago allegedly killed a black security guard who was holding down a suspected shooter at a bar he worked for. According to HuffPo, Jemel Roberson, 26, was working "early Sunday at Manny’s Blue Room ― a bar in the predominantly black Chicago suburb of Robbins, Illinois― when a patron who was part of a drunken group that had been kicked out returned with a gun at 4 a.m. and opened fire. Several people were shot." Armed at the time, Roberson grabbed one of the suspected shooters and held him down in wait for police to arrive, witnesses say. "He had somebody on the ground with his knee in back, with his gun in his back like, ‘Don’t move,’" Adam Harris told WGN-TV. Allegedly, when police arrived, an officer with Midlothian Police Department shot Roberson, who later died at the hospital. Witnesses say they did everything to warn the confused officer of Roberson's innocence in the ensuing chaos. "Just waiting on the police to get there. I guess when the police got there, they probably thought he was one of the bad guys, cause he had his gun on the guy and they shot him," Harris said. "Everybody was screaming out, ‘Security!’ He was a security guard ... and they still did their job, and saw a black man with a gun, and basically killed him." One woman who saw what happened said the officer was running out from the bar. She asked CBS 2 not to show her face on camera. "You hear the crowd yelling and screaming, but when he comes out of that door with that gun up, it’s just pop pop pop pop pop pop pop pop," one woman told CBS Local. "The other officers were out here. They know him. They seen him, and once the police actually shot him, everybody started screaming. The officers started screaming, ‘He’s one of us. He’s security.'" Midlothian Police Chief Dan Delaney confirmed the shooting to reporters. "A Midlothian officer encountered a subject with a gun and was involved in an officer-involved shooting," said Delaney. The Illinois State Police Public Integrity Task Force will now investigate to see if the killing of Roberson was a tragic mistake or the result of negligence. Chief Delaney hopes it will "ensure transparency and maintain public trust." Roberson reportedly played the organ at New Light Spiritual Baptist Church and had dreams of becoming a police officer one day. His pastor, Walter Turner, told reporters his horrible fate makes no sense. "How in the world does the security guard get shot by police?" asked Walter Turner. "A young man that was literally doing his job and now he’s gone." According to Fox News, the tragic killing of Jamel Roberson occurred during yet another bloody weekend in Chicago. The shooting coincided with another violent weekend in Chicago with 20 shot -- including 3 fatally, The Chicago Sun-Times reported. The fatalities began early Saturday when a 29-year-old man was shot at a restaurant in the city's Far South Side, the report said. 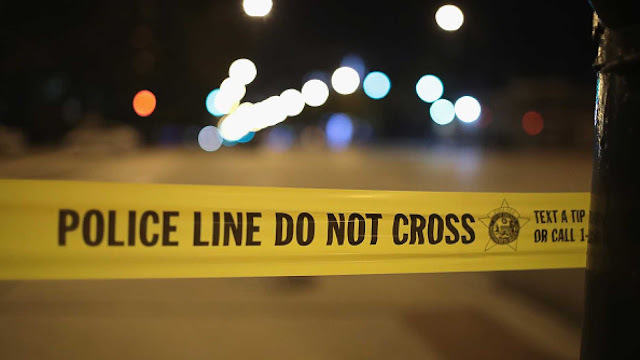 On Saturday evening, a 42-year-old man died inside his South Green Street apartment when someone took out a gun and shot him during a dice game, the Cook County medical examiner's office said. A 24-year-old man on Sunday evening was shot by an unidentified gunman multiple times in the chest and abdomen, the report said. Police said at least 17 others have been wounded from gun violence since Friday evening. Roberson’s mother has filed a federal lawsuit against the unnamed officer and the village of Midlothian, alleging that her son died due to excessive force.